This post was based on the belief that the survey I took in June was the one used in the paper. I realize now this is not the case. The one I took at “Watching the Deniers” is a development of the 2010 survey. There are less questions on conspiracy theories (but “NASA faked the moon landing”, along with Diana, JFK and MLK assassinations are are still in) along with exactly the same questions on Free markets v Environmentalism. But the new survey has more on political beliefs (a good thing in my view) along with new sections on religious beliefs and GM foods. The summary I made back in June is here. The paper Lewandowsky, Oberauer & Gignac – NASA faked the moon landing|Therefore (Climate) Science is a Hoax: An Anatomy of the Motivated Rejection of Science (in press, Psychological Science) is one of the biased and pernicious surveys I have come across. The previous posting was on the opening remarks on the validity of climate science. There are a few points where the survey deviates from a professional and balanced opinion survey. The access to the survey. It was an internet based survey, with links posted on 8 “pro-science” blogs. Five skeptic blogs were approached. As such, one would expect that “pro-science” responses would far outweigh “denialist” responses. I cannot find the split. There should have been a record kept of abandoned survey results. The survey gets more dogmatic as it progresses, and becomes far longer than originally stated (74 questions, as against 40 in 10 minutes quoted at the outset). Moderate skeptics would have quickly abandoned the survey when they realised what was being inferred. Others, as the questions became more time consuming and “weird”. See if this is a valid conclusion by first reading the questions, then my analysis. Not reported is the relationship between “climate denial” and genetically modified foods. Is the correlation the reverse? Nor is there any reporting of the section on climate change against conservative Christian religious views, or climate change against views on corporations. The survey only reported the most dogmatic results. Could it be that there is something relevant, but adverse to the desired conclusions here, or no relationship? There were also final questions on age and gender. Again, this should be reported. The main inference of the survey is that those who oppose climate change science are nut-jobs, whilst those who agree with it are pro-science. This saves having to explain the lack of any credible scientific evidence for the projected global catastrophe that we all need to be saved from. The paper Lewandowsky, Oberauer & Gignac – NASA faked the moon landing|Therefore (Climate) Science is a Hoax: An Anatomy of the Motivated Rejection of Science (in press, Psychological Science) is one of the most biased and pernicious surveys I have come across. This posting is about the opening remarks. The paper starts by accepting the validity of science is from beliefs of scientists. The first paper simply says that of the climate scientists who are convinced of climate change arguments as far more numerous and publish far more than scientists that are unconvinced. The most positive spin you can put on this is that those who believe in and are passionate about what they are doing tend to succeed more than those who don’t. You would probably find similar proportions of belief within New Testament theology or Marxian economics. It says nothing about the truth and the validity of the main claim – unless we act quickly to reduce global carbon emissions, the planet is heading for catastrophic global warming. It is only the second question that mentions the human element. In maths “largely” (i.e. > 50%) is a subset of “significant” (a measurable part). Neither is CO2 the only human factor causing climate change (Methane plus other gases increase the greenhouse effect, aerosols offset the warming). Further, the Doran and Zimmerman paper is (to put it charitably) is a hugely flawed survey. Reference to it in another “peer reviewed” survey shows does not bode well for the quality of the results. This is the climate change questionnaire questions in the survey I answered in early June 2012 and commented upon here. It has been brought to my attention that this is NOT the questionnaire used in Lewandowsky et al 2012. There are similarities but this appears to be a development of the 2010 survey, and was probably being trailed at Watching the Deniers site. It was located on the University of Western Australia site – try the link. THE ACTUAL (& shorter) QUESTIONNAIRE is analyzed here. If this is not the original survey, but has been doctored in any way, I will happily publish the actual survey. I will also provide details of the researcher and the url for any investigation. I can be contacted through the moderated comments. I am not aware of any copyright restrictions on reposting the questions. I accessed this from “Watching the Deniers” website, where there was no mention of copyright material. Neither was there any mention of copyright on the introductory front page. The doing a search I only came across a link to a 2010 survey. Neither could I find a link within The University of Western Australia Website, though it is on their servers. I believe that the climate is always changing and what we are currently observing is just natural fluctuation. I believe that most of the warming over the last 50 years is due to the increase in greenhouse gas concentrations. I believe that the burning of fossil fuels over the last 50 years has caused serious damage to the planet’s climate. Human CO2 emissions cause climate change. Humans are too insignificant to have an appreciable impact on global temperature. I believe that genetic modification is an important and viable contribution to help feed the world’s rapidly growing population. I believe genetically engineered foods have already damaged the environment. I believe that because there are so many unknowns, that it is dangerous to manipulate the natural genetic material of foods. Genetic modification of foods is a safe and reliable technology. I believe that vaccines are a safe and reliable way to help avert the spread of preventable diseases. I believe that vaccines have negative side effects that outweigh the benefits of vaccination for children. Vaccines are thoroughly tested in the laboratory and wouldn’t be made available to the public unless it was known that they are safe. Vaccinations are one of the most significant contributions to public health. I am politically more liberal than conservative. In any election, given a choice between a Republican and a Democratic candidate, I will select the Republican over the Democrat. Communism has been proven to be a failed political ideology. I cannot see myself ever voting to elect conservative candidates. The major national media are too left-wing for my taste. Socialism has many advantages over capitalism. On balance, I lean politically more to the left than to the right. An economic system based on free markets unrestrained by government interference automatically works best to meet human needs. The free market system may be efficient for resource allocation but it is limited in its capacity to promote social justice. The preservation of the free market system is more important than localized environmental concerns. Free and unregulated markets pose important threats to sustainable development. The free market system is likely to promote unsustainable consumption. A powerful and secretive group known as the New World Order is planning to eventually rule the world through an autonomous world government which would replace sovereign governments. The assassination of Martin Luther King, Jr. was the result of an organized conspiracy by U.S. government agencies such as the CIA and FBI. The Apollo moon landings never happened and were staged in a Hollywood film studio. The assassination of John F. Kennedy was not committed by the lone gunman Lee Harvey Oswald but was rather a detailed organized conspiracy to kill the President. The U.S. government allowed the 9-11 attacks to take place so that it would have an excuse to achieve foreign (e.g., wars in Afghanistan and Iraq) and domestic (e.g., attacks on civil liberties) goals that had been determined prior to the attacks. Princess Diana’s death was not an accident but rather an organised assassination by members of the British royal family who disliked her. The claim that the climate is changing due to emissions from fossil fuels is a hoax perpetrated by corrupt scientists who wish to spend more taxpayer money on climate research. U.S. agencies intentionally created the AIDS epidemic and administered it to Black and gay men in the 1970s. The alleged link between second-hand tobacco smoke and ill health is based on bogus science and is an attempt by a corrupt cartel of medical researchers to replace rational science with dogma. The HIV virus causes AIDS. Lead in drinking water poses a serious long-term health risk. There are a couple of elements that corroborate sceptical beliefs that are not alluded to elsewhere. There has been a decline in summer temperatures of 0.6 degrees. That is (From the supplementary information figure S13), a decline in temperatures of around 0.6 Celsius is due to a net reduction in orbital forcings of 6 W m−2. That is 6 W m−2 gives approximately 0.6 degrees temperature change. This implies 1.6 W m−2 gives approximately a 0.16 degree temperature change, so CO2 is not the largest influence on C20th warming. Yesterday I reblogged pieces of evidence by Steven Goddard indicating that the historical temperature record has been systematically manipulated. 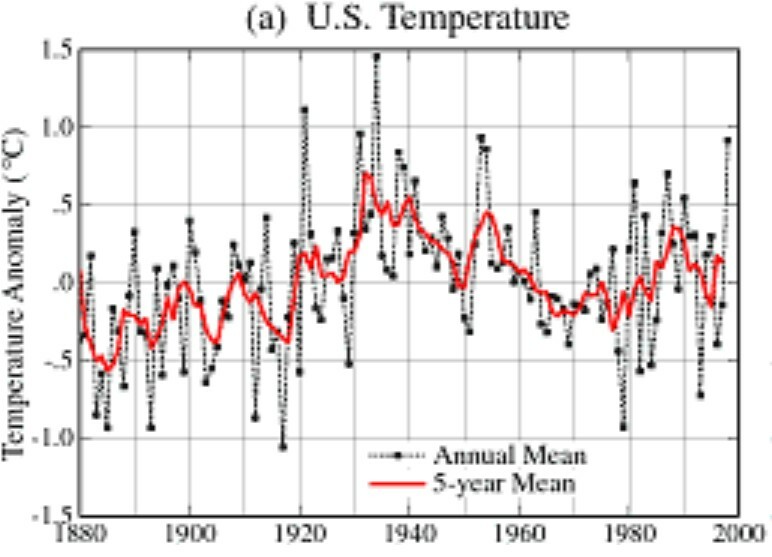 In particular, the inter-war warming has been reduced, whilst recent warming has been increased. From the paper, this abstract of the more recent warming trends. Now compare with two versions of the Reykjavik mean temperatures to see which is closer. I know that Reykjavik is between 50 and 350 miles south of the area surveyed, but it does seem to corroborate one version over the other. *Joanna Nova has a summary here. This post by Steven Goddard brings together a number of pieces of evidence that “real world” data has been systematically adjusted to fit the theory. BEWARE THE FLASHING GRAPHS LOWER DOWN. This is only the second time I have reblogged somebody else’s work in the four years my blog has been running. The reason is that I often observe lots of pieces of evidence that suggest bias, but rarely are some of the pieces of evidence put together to corroborate each other. 1. The Darwen, Australia temperature record. 2. The temperature record for New Zealand. 3. The temperature record for Australia – which has recently be replaced to evade an external audit. 4. The HADCRUT temperature series being brought into line with GISTEMP to save having to hide the divergence. It is not just ex-post adjustments of individual temperature series that creates an artificially large warming trend. There are also the statistical methods used to determine the “average” reading. There wasn’t any hockey stick prior to the year 2000. 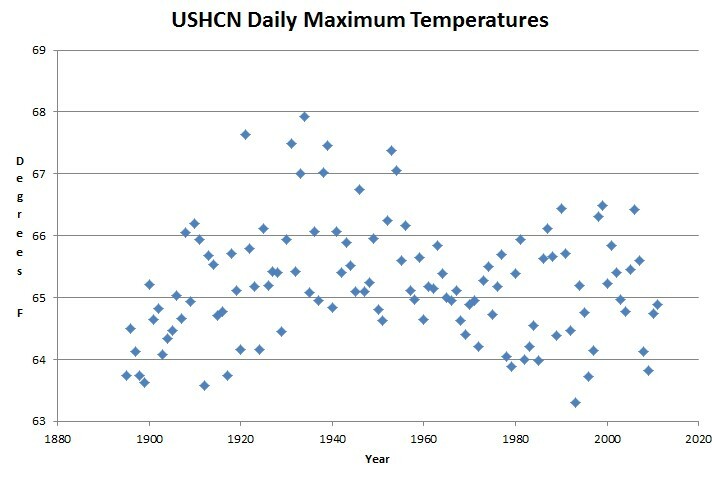 The 1990 IPCC report showed that temperatures were much cooler than 800 years ago. NASA GISS: Science Briefs: Whither U.S. Climate? The Directors of CRU and NCAR forecast a continuing drop in temperatures.